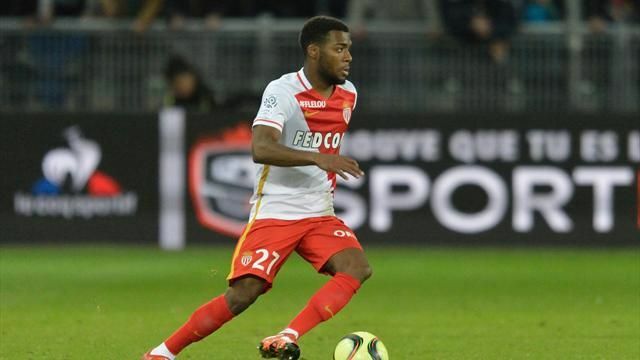 Arsenal are growing increasingly confident of agreeing a deal to sign Thomas Lemar as Arsene Wenger gets ready to submit an improved offer worth up to £50m, according to reports. The boss has already splashed out a record fee to snap-up striker Alexandre Lacazette while left-back Sead Kolasinac has also arrived on a free transfer from Schalke. However, Wenger is determined to add another attacker to his squad this summer as he looks to build a side capable of winning the Premier League title and Lemar has emerged as a prime target. The French international has been strongly linked with a move to the Emirates in recent weeks after he scored 14 goals and provided 17 assists to help fire Monaco to the title last season. The Daily Mail claim Arsenal are ready to go back in with a fresh bid worth £45m rising to £50m with add ons after seeing two offers of £35m and £40m rejected by Monaco. It remains to be seen whether that will be enough to persuade the French outfit to cash-in but the Mirror suggest Wenger is determined to sign Lemar and is growing increasingly confident of getting a deal agreed. These reports come after The Sun claimed late last week that Arsenal have already agreed personal terms worth £90,000-a-week with Lemar’s representatives so it certainly looks like we’re close to getting a deal wrapped-up. We’ll have to await further developments but I think Lemar would be a superb addition to the squad as the 21-year-old is one of the most exciting young attackers in the world. However, my concern is that Wenger is lining him up as a potential replacement for Alexis Sanchez as Lemar plays in the left attacking role and speculation is intensifying that our Chilean super-star is pushing to leave this summer. As much as I’d love to see Lemar join the club, it would be a bitter blow to lose Sanchez and unfortunately we’d be a weaker team for it if he does go.